Strawberry: symbolizes spring and rebirth, as well as righteousness and love. Nothing becomes Something the minute the artist takes brush to canvas. In the musicians case it is the instrument the lyrics the notes the composition forming a harmonious blend of message and music transporting the listener to another level. The artist produces from that mystical source where nothing is real, making it real, by producing the form in real time on canvas, stage, paper, or thru instrument. It’s reality then becomes a shared quantity transcending its original thought. The source idea reigns supreme, as the illustration is witnessed and enjoyed. 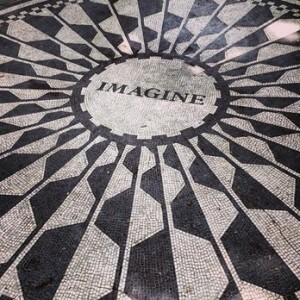 John Lennon wrote many songs, and yet Strawberry Fields is one of his most popular. The lyrics, the tune, the magic of the message, cast a spell on listeners everywhere! Strawberry Fields, is a small tranquil place in Central Park directly across the street from the Dakota , the residence where John & Yoko lived before he was assassinated by a crazy fan in December 1984 Is one of the most popular tourist destinations in NYC, it is a strange combination of the old and the new where musicians strum guitars to the beat of vintage Lennon, kids take photos at the “Imagine” plaque, and old hippies, aka baby boomers, relax on benches, observing the scene, as they reminisce of latter days, where they partied, made love, danced, and dreamed to The Beatles infinite musical repertoire. It’s a cool place to visit now, yet also a sad place, because it has become a shrine to a man who was killed because of his talent, his fame, his celebrity, which made him loved by many, hated by many, the object of envy, and a target for the crazies. The dark side of fame. And it is. The artist is creating protected, as a lone wolf, obscure and free, until he is discovered. Then everything changes. 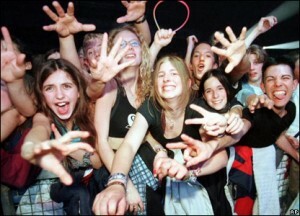 Fame becomes the enemy, the friend, the desired, the despicable. “Be careful what you wish for.” The artist then becomes a victim of the world, the society out there whose love he craved, whose admiration he dreamed of, can become the vampire draining his life’s blood. How to know? 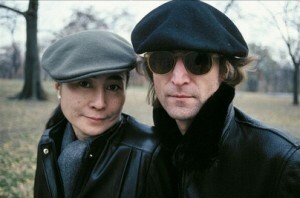 John was way too open and trusting as he and Yoko hung out in Central Park, strolled CPW, treating NYC as their new best friend. Yoko is still a resident at the famed Dakota! They had a love affair with NYC. How could they ever think it would be the city that destroyed his life by the act of a random fan ? They couldn’t. But it wouldn’t have changed a thing. He was still the John of Strawberry Fields Forever, Imagine, Lucy in the Sky, the White Album, and so many more, a cornucopia of music, giving the world new musical vistas for eternity! 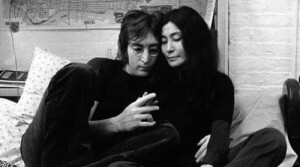 Killing John Lennon. The man yes, the music Never! Art IS forever. The artist is the venue, the tool, the channel. But the Source from where this gift originates is so much more. The inspiration, or as writer Julia Cameron describes it – the “Vein of Gold”. This is why Van Gogh could keep on spilling his paint on undiscovered canvases hidden for many years after his premature death, why Picasso could create while freezing or burning in the squalor of Bateau Lavoir, why “Le Dounier” – Rousseau could paint while being mocked as an object of ridicule while toiling days as a lowly clerk, why Modigliani could paint masterpieces, while wasting away from illness in his Paris Garret studio, that are now being auctioned at Sotheby’s for over 100 Million ! That Vein of Gold is a powerful lifeline to the artists creative source nourishing and providing an infinite abundance of wealth! 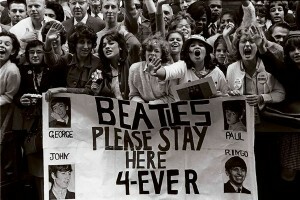 John was struck down, and yet his Central Park Mecca remains 35 years later a place where he is very alive! The artist remains eternally alive through the work he leaves behind. John Lennon. Not a perfect person. Yet a perfect icon for future generations to “Imagine” as they visit one of his favorite places in the world. Strawberry fields. Good Name. Good Song. Good Place.